Bouvet-Ladubay is a sparkling wine house in the Loire Valley that began in 1851. While Bouvet was acquired in 2006 by the world’s largest group of alcoholic beverages, the UB Group, based in India, the day to day management is still controlled by the Monmousseau family, who purchased Bouvet in 1933. Juliet Monmousseau is the family’s fourth generation working at the winery. Juliet didn;t intend to go into the family business at first. After studying design, she worked in film distribution in Paris and then as an independent publicist. Six years ago, she decided to return to the family business and works under her father Patrice Monmousseau. Juliet holds the position of Deputy Managing Director and oversees the publicity, press relations and export markets around the world. 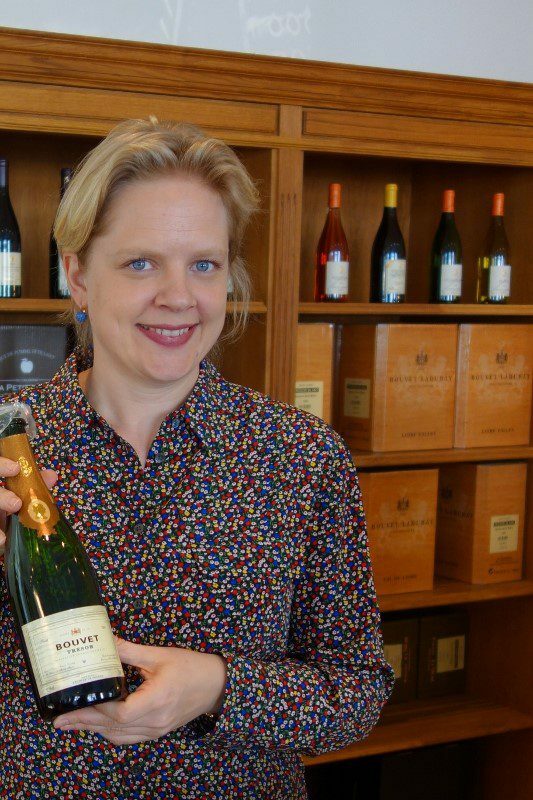 With her background in art and film, she marries these worlds with wine by organizing Bouvet-Ladubay’s participation in many film events, including the Cannes Film Festival, as well as oversees the Bouvet-Ladubay Art Concept, a center for contemporary art that they created. Juliet’s father Patrice is the Chairman and Managing Director and continues to oversee the blending the wines. He learned this from his father and has continued the tradition by teaching Juliet how to taste and trust her palate. Currently they work side by side when blending the wines but when he decides to retire, she is prepared to continue the tradition. This entry was posted in Wine and tagged Bouvet-Ladubay, France, Juliet Monmousseau, Loire Valley, Wine, winemaker by Allison Levine.